Lengthy song titles are a good indication for a novelty tune. 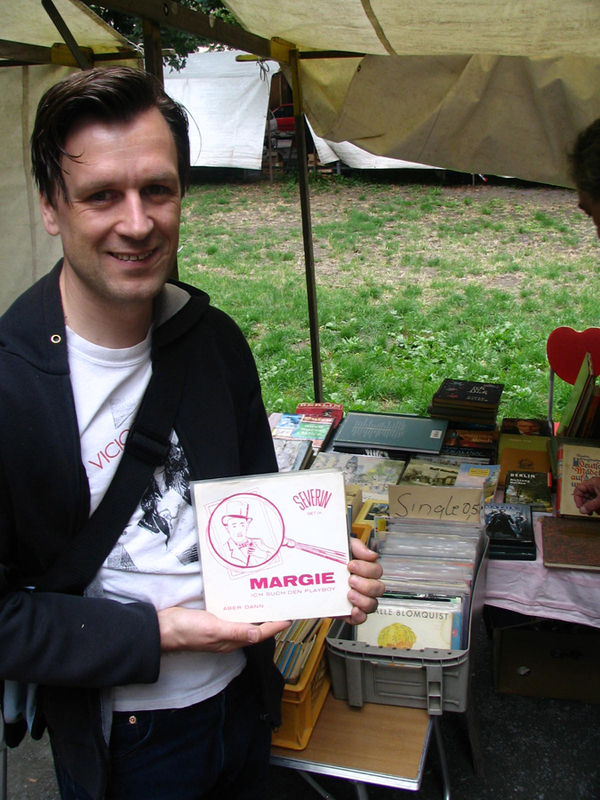 So, out of curiosity I bought this 45 last Saturday at a local Kreuzberg flea market. The flip, Kurdistan, has unusually nonsensical/clever lyrics, an oriental twist and a nice swingin´vibe. Good ingredients for a hit song, nevertheless the record flopped. 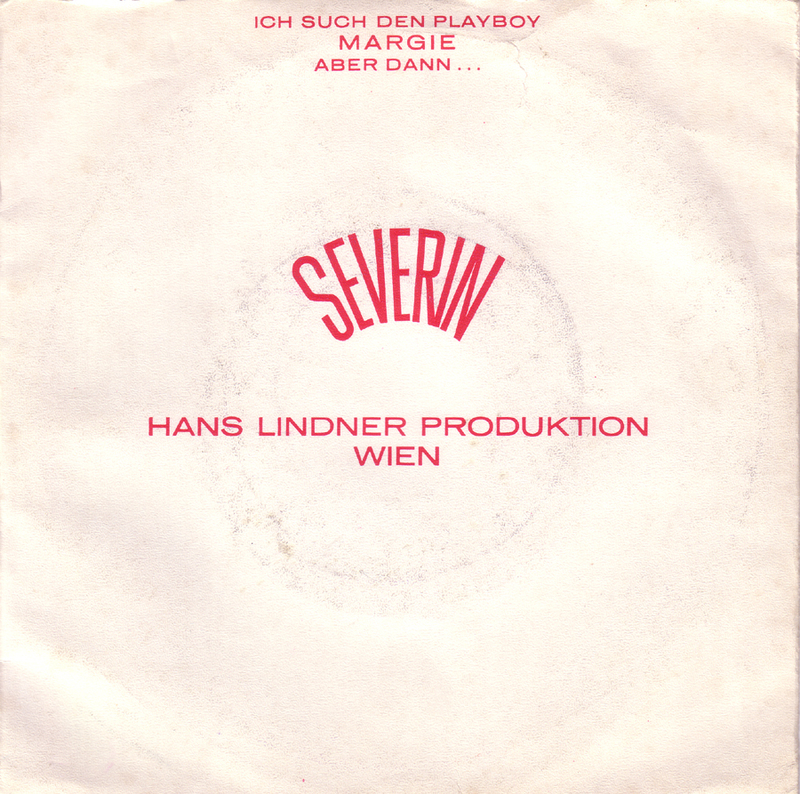 The songs probably were too silly for jazz purists and still too sophisticated for mainstream audiences. Not surprisingly they have never been reissued in 52 years. Fred Gartner is from Austria, but otherwise no information about him online. 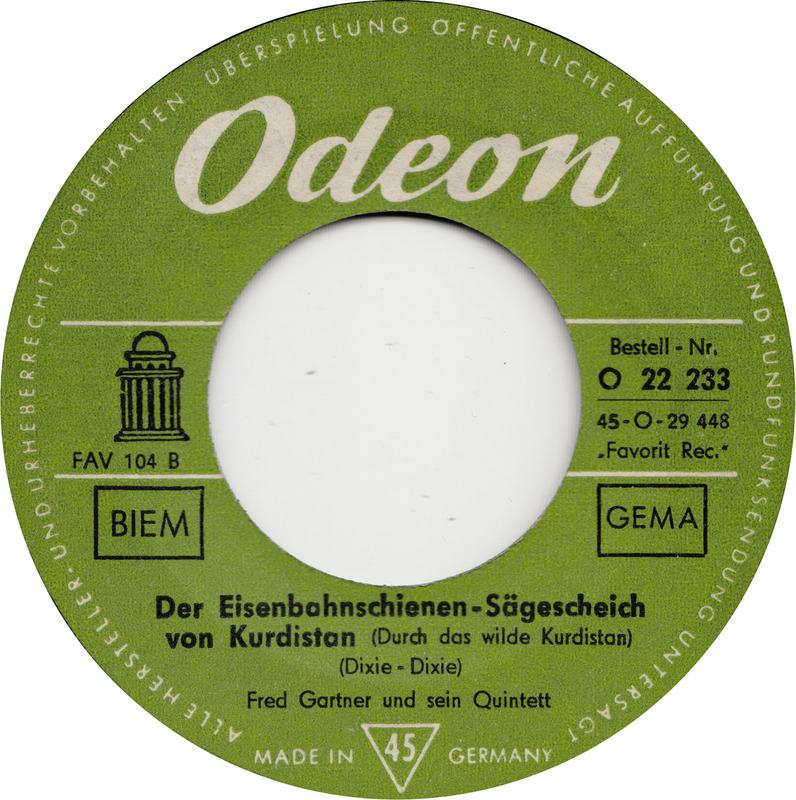 The only info I have, is from this sleeveless Odeon 45, that was originally released by the Austrian Favorit Records, house label of comedian Georg Kreisler. 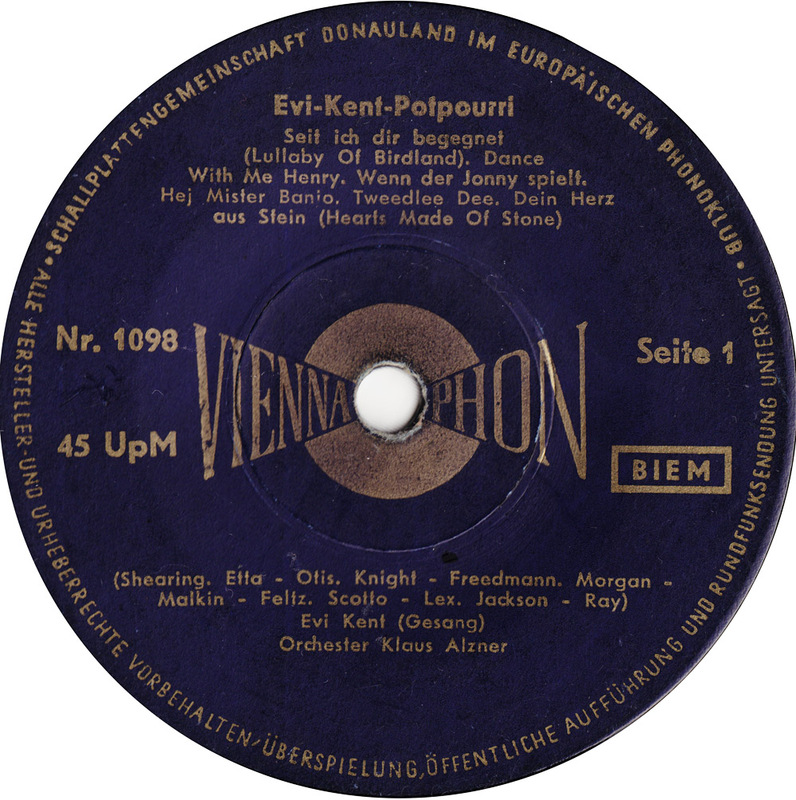 From the credits I assume Kurdistan was written by Joe Dixie, another German Jazz musician that went completely under the radar. I have written a bit about Dixie a while back here. Though the lyrics themselves are not related to it, Durchs wilde Kurdistan was obviously inspired by a novel of the same title, written by Karl May in 1892. 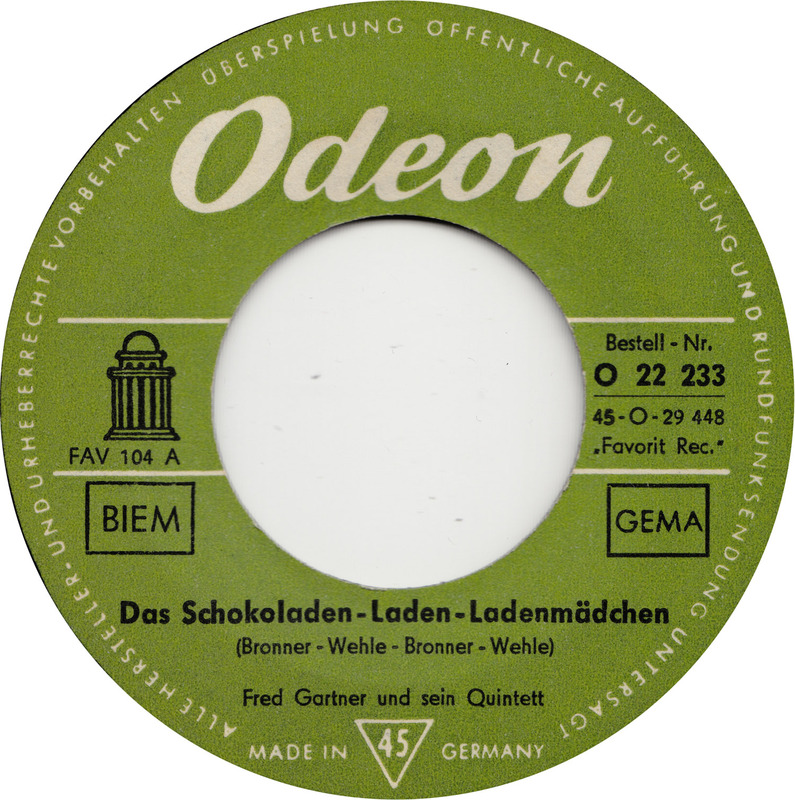 A film based on the book was released in 1965. 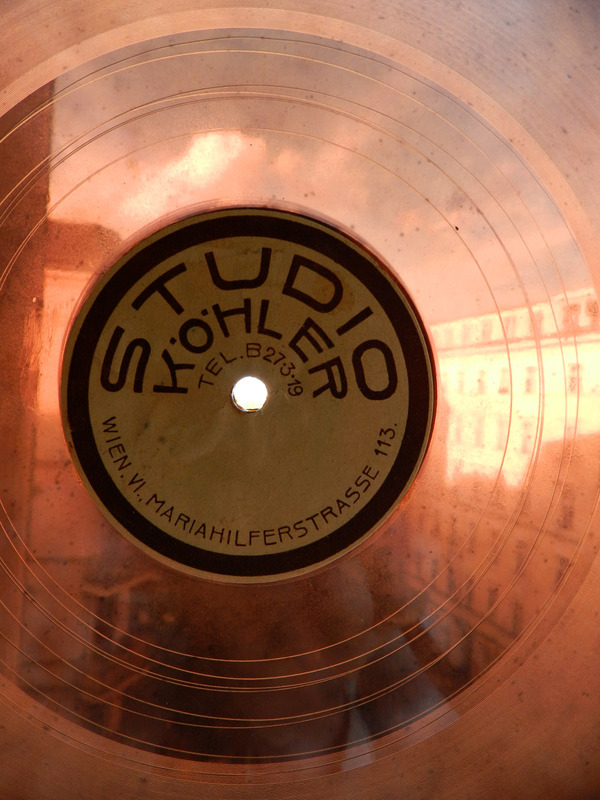 Two weeks ago I found this transparent flexible 10″ record in an antique book store. 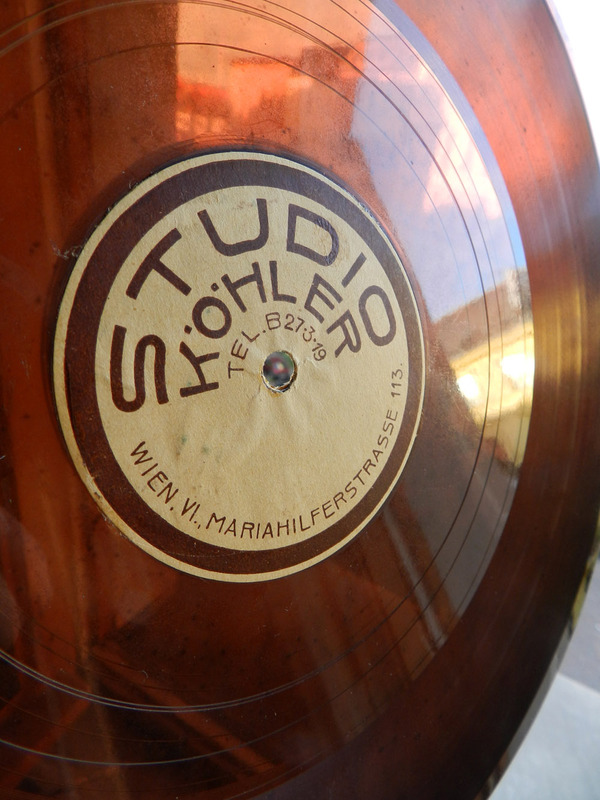 The material the record is made of seems to be some sort of plastic, that is much lighter than shellac. 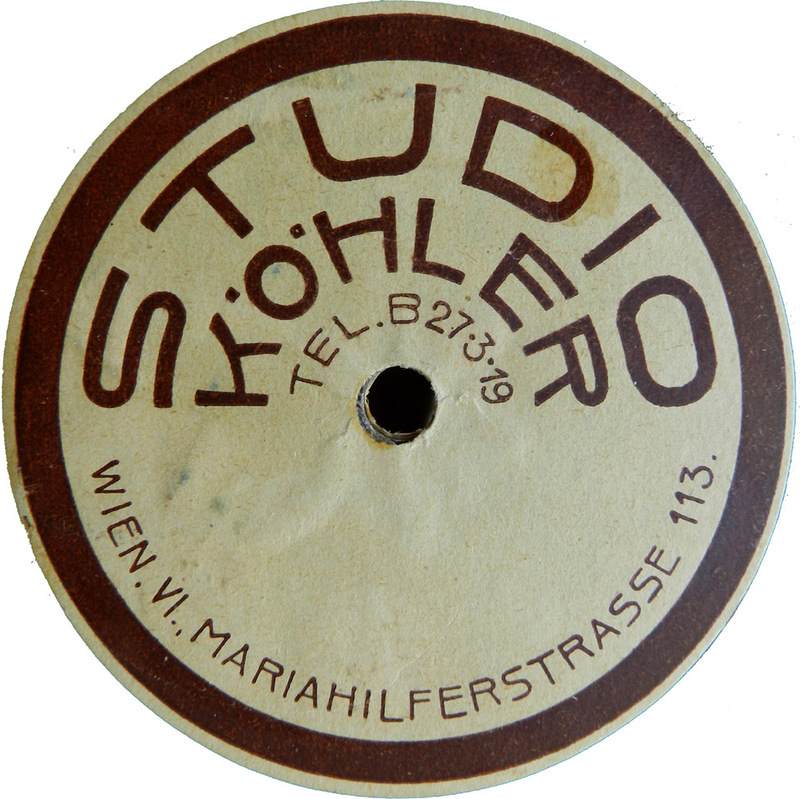 On this home recording a certain Nina Winter is reading a poem in celebration of her friend Maria “Mitzi” Lichtenegger passing her driving test on October 25, 1941 at the driving school Suchanka in Mariahilf, Vienna. The rhymes reveal that Mitzi´s husband had already passed the test before her and that her driving instructor Mr. Fischer, though a rigorous and earnest man, was quite pleased with her. That´s about all the personal information I could gather from the record. It´s a glimpse into the private lives of ordinary people in war time Vienna. While millions were expelled, killed and put into concentration camps, others were obviously still passing the time with making their drivers licenses, writing poems about it and then even having them recorded…. 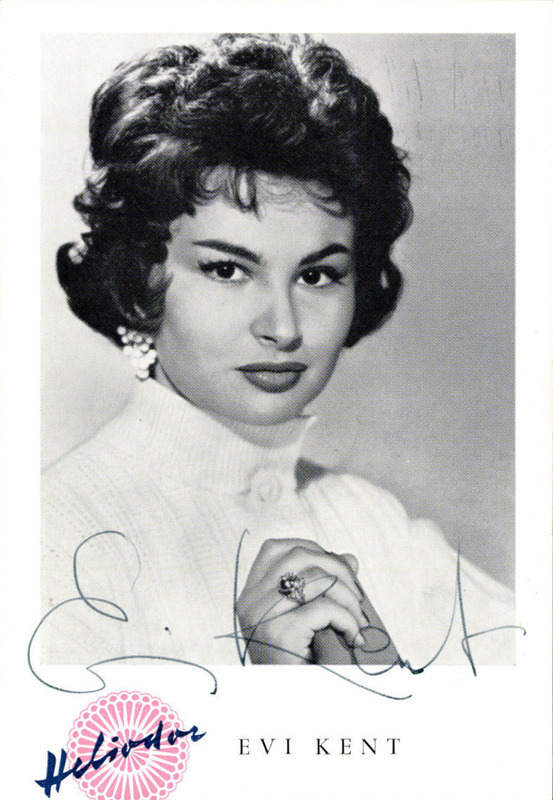 Charlotte Rank is an Austrian Jazz singer who only made a handful of records in the 50s before she went back into private life. 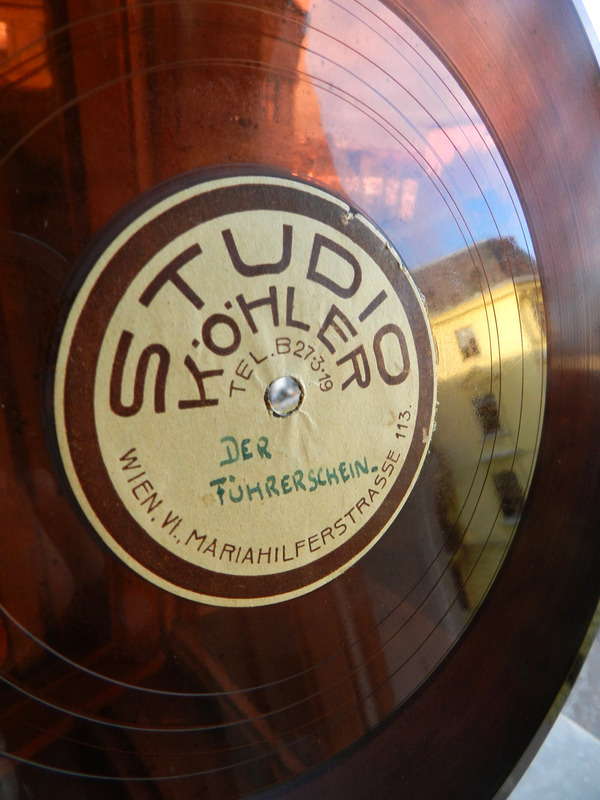 A mention of her being “A true local Vienna Girl” is one of the only informations I could find. 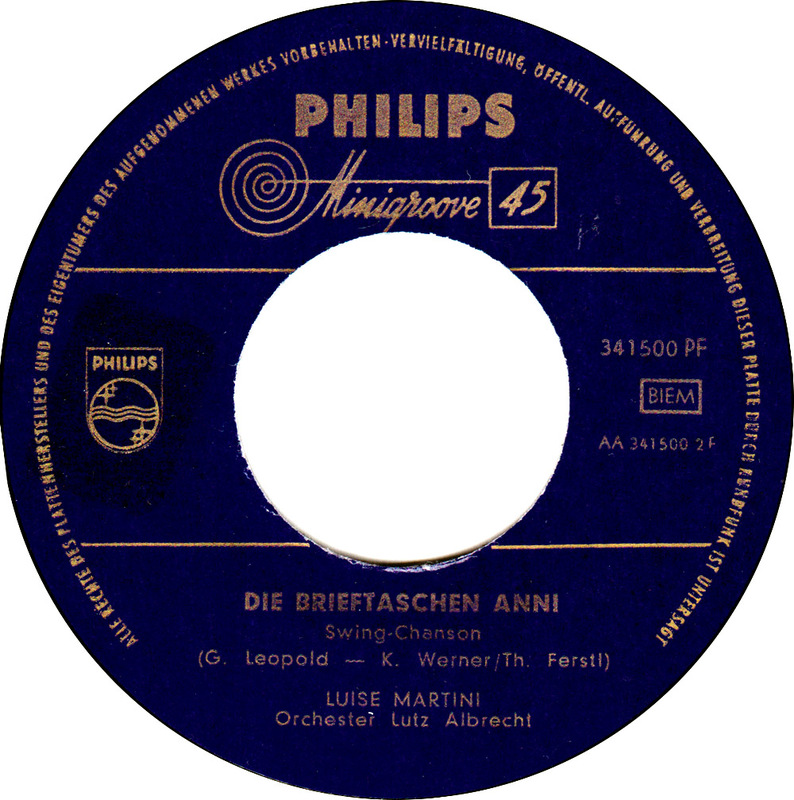 In the late 1940s Lotte Rank started performing together with the orchestra of famous Austrian jazz musician Johannes Fehring, with whom she also recorded a nice version of “Cow Cow Boogie”. 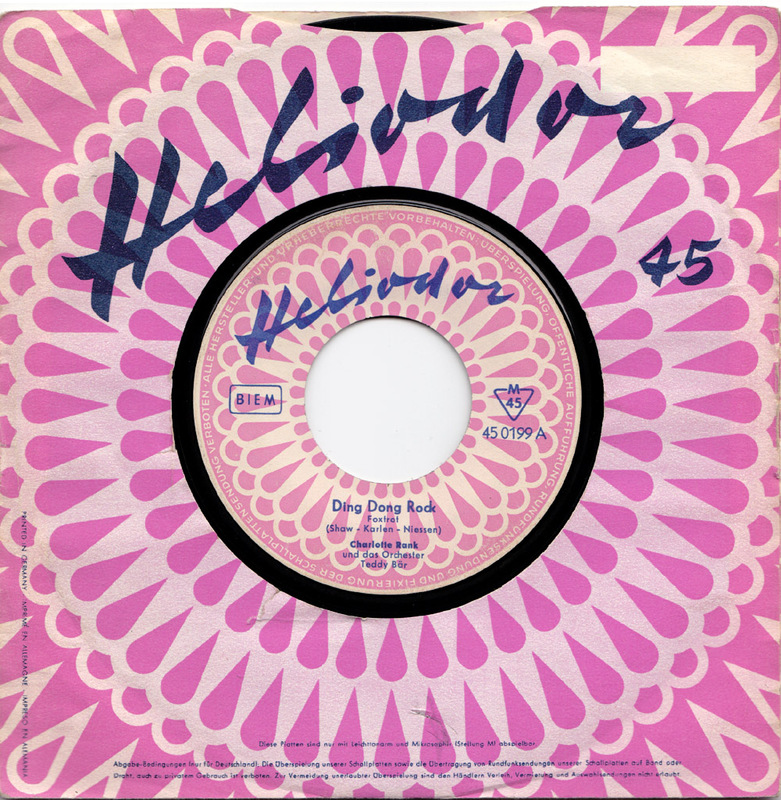 Fehring also recorded two rock´n´roll 45s for Heliodor in ´56 and ´57. Apparently Charlotte Rank still performs from time to time in Vienna. And what a looker she was! 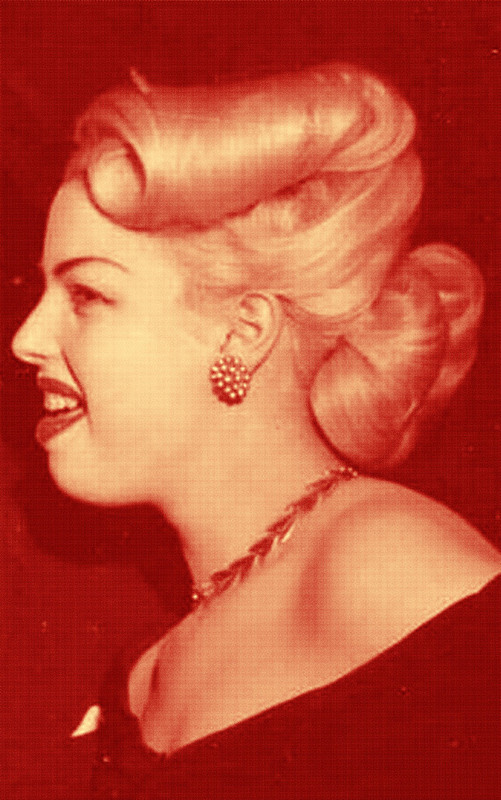 It seems that songs that contain the word “rockabilly” ( like Guy Mitchell´s “Rock-a-billy”) in the title or the lyrics tend to be actually considerably less rockin´. 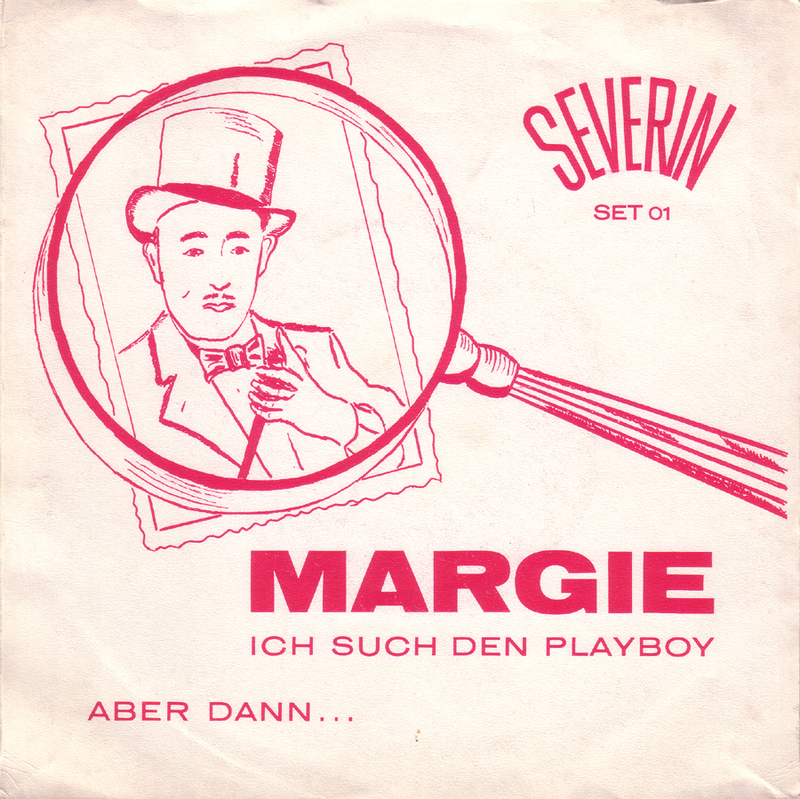 The original version of “Ding Dong Rockabilly Wedding” was recorded by Libby Dean in 1957 for Savoy, a Rhythm & Blues label and backed by the Ray Charles Singers. 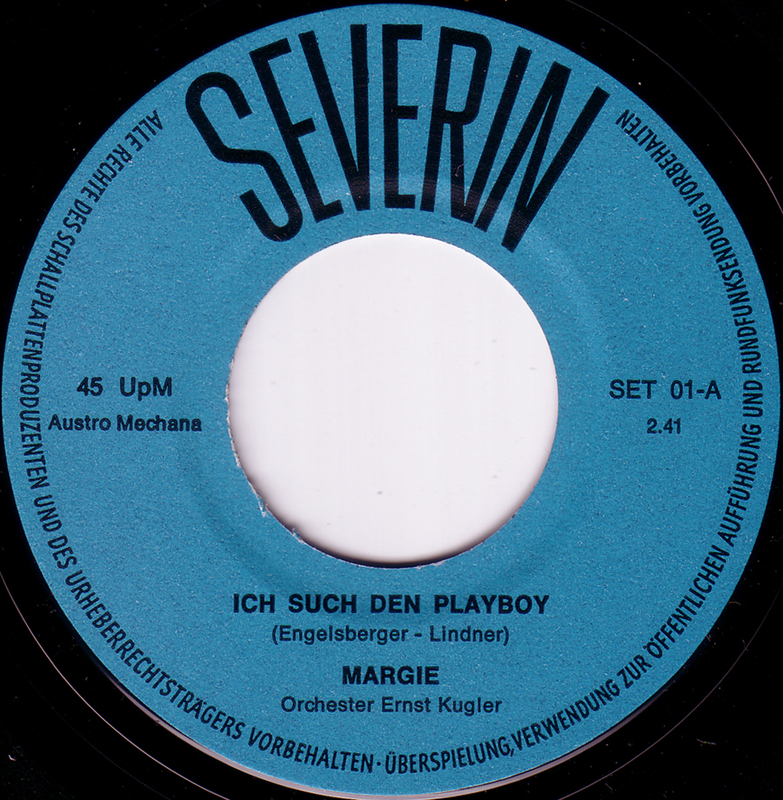 While Charlotte Rank´s version might not be rockabilly music, it´s still rather surprising to find any reference to the word in a German song when it wasn´t even all that common in the U.S. at the time. 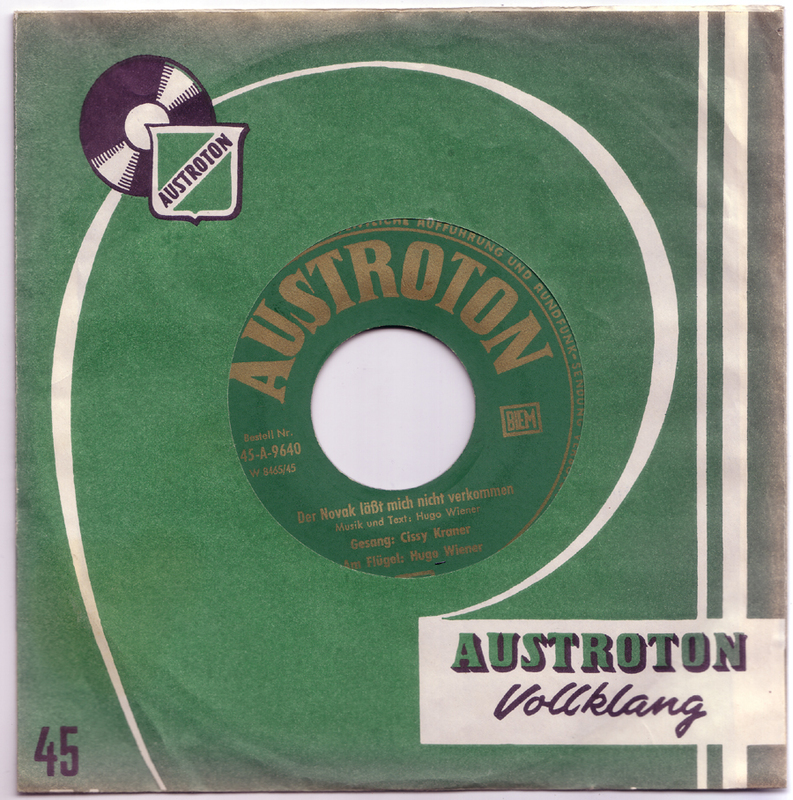 For some reason so far “Ding Dong Rock” has slipped Bear Family Records otherwise pretty complete list of German rock´n´roll re-releases. 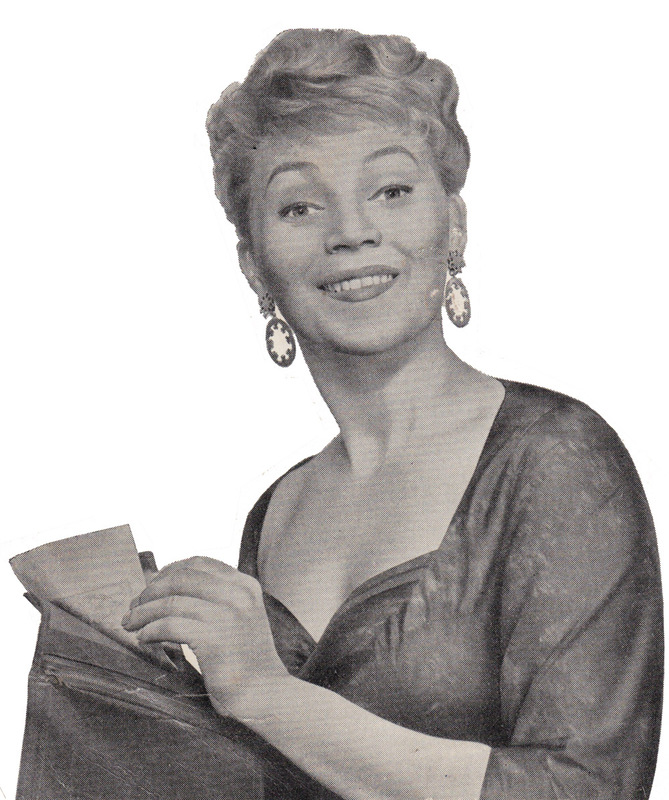 Luise Martini (born 1931) is an Austrian actress. 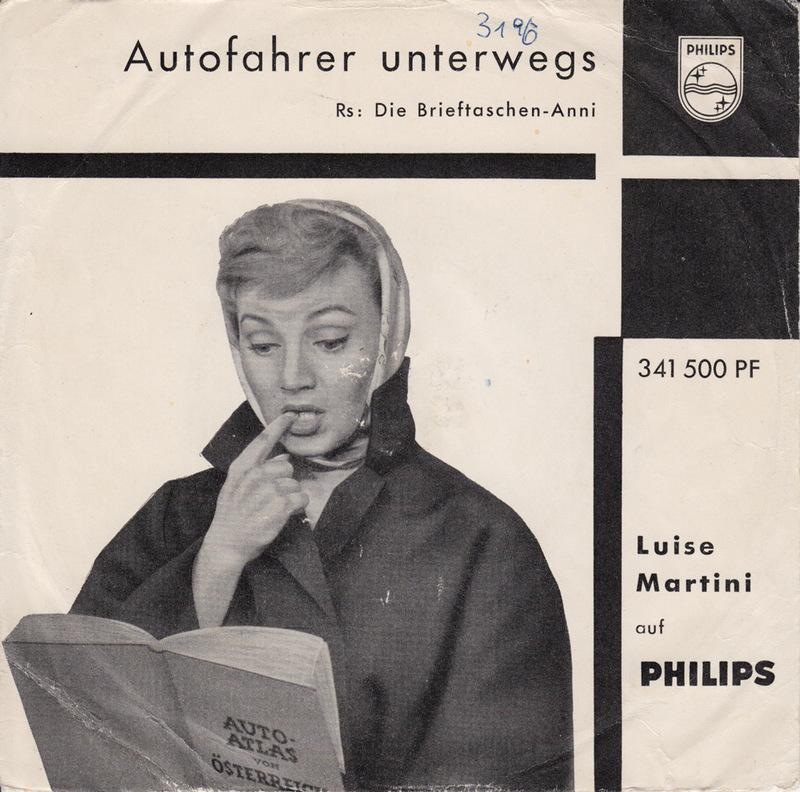 In 1957 she started co-hosting the popular daily radio-show Autofahrer unterwegs (car drivers on the way). 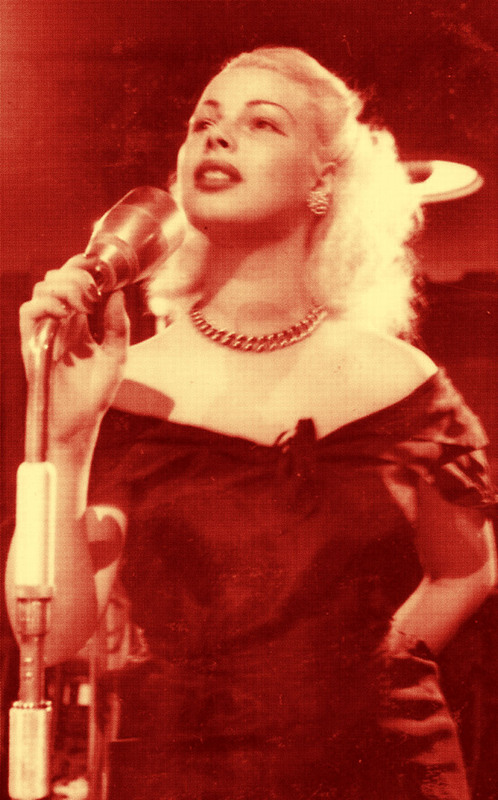 The one-hour show ran for 42 years and featured music, traffic reports and notification requests for travellers on the road. These requests, searching for travellers when a close relative at home was seriously ill or dead, are still being broadcasted all over Europe during summer vacation. Of course in the past they were of greater importance. Before cellphones, once you were travelling, you were gone. 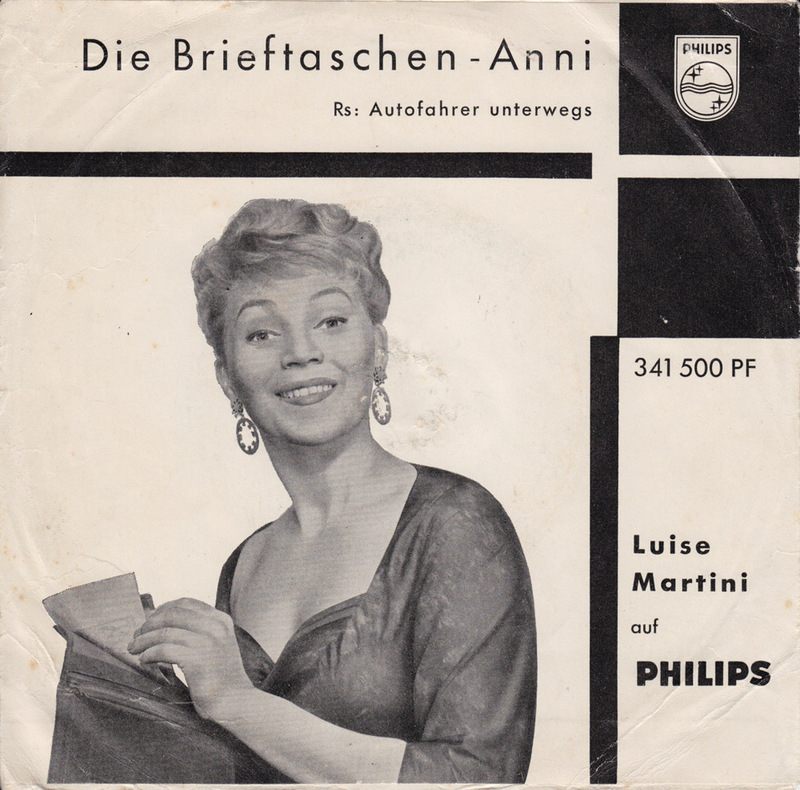 In the swinging Brieftaschen-Anni (wallet-Anni), sung in Austrian dialect, Luise Martini is telling the humorous story of Anni, a professional thief who “doesn´t like boogie, be-bop and rock´n´roll, because it makes stealing impossible when you´re twirling up in the air”. 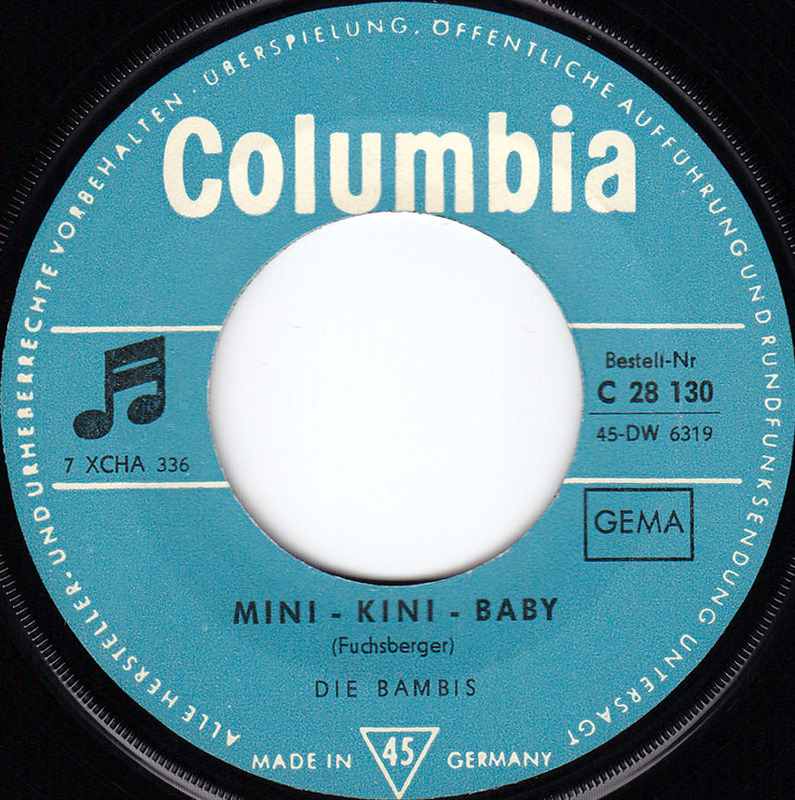 Just to complete the Mini-Kini thing from last week here´s the Bambis from Austria. Decent song but would have been much better with a guitar break than an organ. 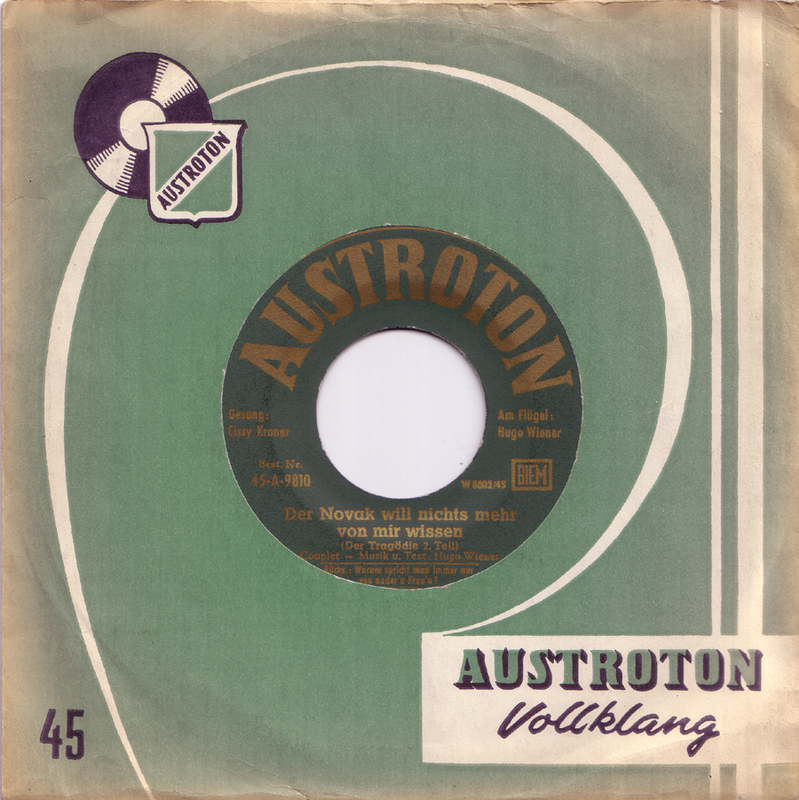 Cissy Kraner recorded the original of “Der Novak lässt mich nicht verkommen” for the Austrian “Austroton” label in the late 1950s. Musically this is weaker but lyrically the song was already strong before Gisela covered it. 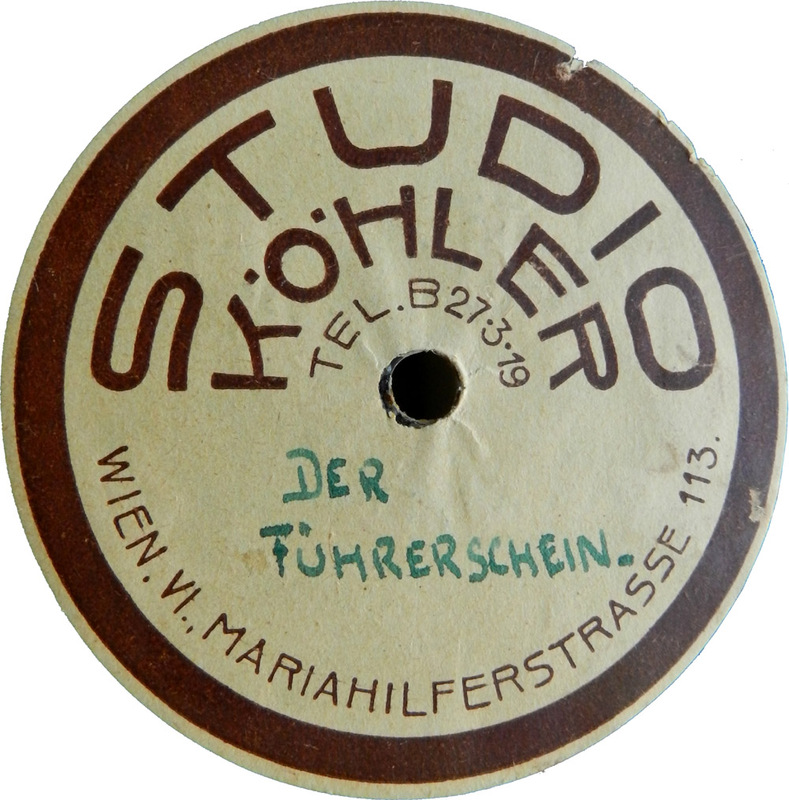 The follow-up record was “Der Novak will nichts mehr von mir wissen” ( The Novak doesn`t want to know about me any more).